Welcome Home. A New Beginning. A Fresh Start. 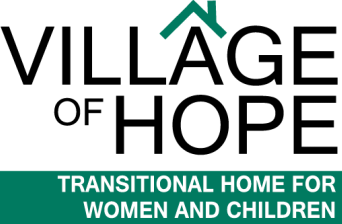 The Village of Hope's Steps to Success Transitional Living Program offers up to two years of transitional housing for women. We accept women ages 18-62 with dependent children 14 and under or without children. Any woman who is homeless or in danger of becoming homeless can be referred to our program by an agency such as Life Crisis, the Christian Shelter, the Department of Social Services or another local agency. If accepted to the program, participants work closely with our Case Managers and other program staff who give them the tools and resources they need to become self sufficient and improve their situation. The program includes parenting classes, life skills education workshops, counseling provided by therapists from Eastern Shore Psychological Services and credit & budget counseling from Salisbury Neighborhood Housing Service. Participants reside in a fully-furnished apartment that offers privacy, serenity and security. 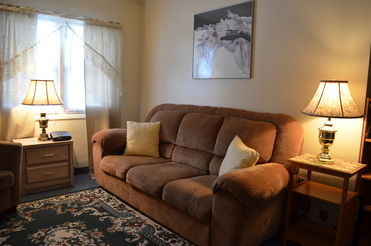 Participants also have access to a community room with cable television to visit with family members and friends. Often times the families host a movie night or holiday gathering in this shared space. ​ to keep the common areas of the resident building clean for all to enjoy.